We have recently updated our calendar of events of upcoming seminars, lectures, conferences, performances and exhibitions relating to 18th century history. Conference themes this autumn include the ceremonies of courts and states, the “first impressions” created by faces, clothes and bodies, the role of printers as agents of protest, displays of art in country houses, and gothic architecture. 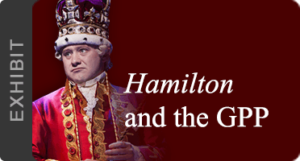 On October 10th, the Georgian Papers Programme presents an evening exploring King George III through the eyes of Alan Bennett and Nicholas Hytner, as part of the Arts & Humanities Festival at King’s College London. Bennett and Hytner will share their experience of researching the archives to write The Madness of King George III, the challenges of translating an acclaimed stage show to a multi-award winning film, and how they see George III. The talk (7pm) will be directly followed by a screening of the film at 8pm. Booking available here. In November, followers of our programme may be especially interested in a talk about Benjamin Franklin and the Stamp Act, at 18:30-19:30, 13th November, in Benjamin Franklin House. 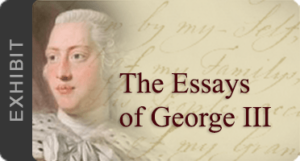 At the end of the month, on 28th November, a lecture by Dr Bruce Ragsdale (Fred W. Smith National Library for the Study of George Washington Visiting Fellow) will compare the agricultural interests of George Washington and George III.